May the spirit of Transgender Day of Visibility overflow through the rest of year, inspiring all of us to play with and expand the meaning and role of gender in our world. Summer 2018 marked the first time I was called an “elder.” I don’t know what age someone must be to be considered an elder, yet I was sure that I hadn’t gotten there at 36. However, a group of young transgender Jews had come to SVARA’s Queer Talmud Camp as a group, some of whom had never met a transgender person over the age of 30. To them, as an out genderqueer transgender rabbi, I was a transgender elder. This is part of the power of being out and visible as a nonbinary transgender person. It creates connections within the transgender community and provides an image of what life can look like for other transgender people. 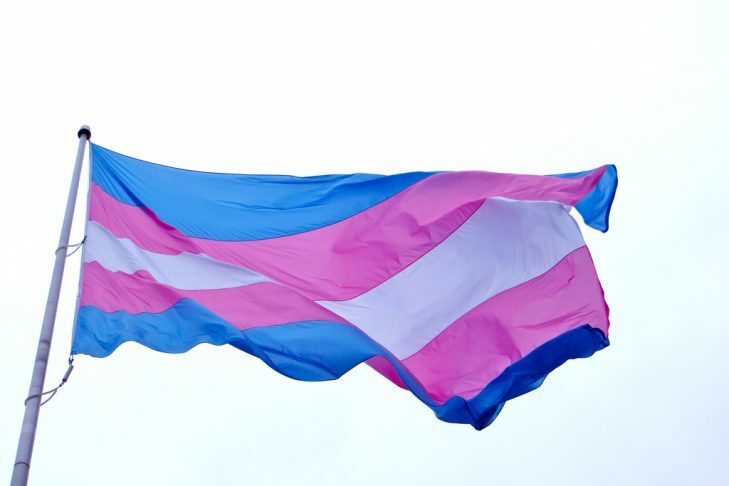 Transgender Day of Visibility, on March 31, was founded in 2009 to celebrate the lives of transgender people in our world, while also raising awareness about the discrimination that transgender people still face in the world. Joy Ladin: Joy’s newest book, “The Soul of the Stranger: Reading God and Torah from a Transgender Perspective,” provides a rich commentary on texts that form the essence of our textual tradition. Laynie Solomon: Laynie is the director of national learning at SVARA, where they help to direct the transgender formational Talmud Teaching Fellowship. Thanks to Laynie’s work and vision, eight queer and transgender Talmud teachers have spent the year learning Talmud and the SVARA method together, forever altering our tradition and the text itself. Dr. Koach Baruch Frazier: Koach, currently a student at Reconstructionist Rabbinical College, holds a doctorate in audiology. Koach is a teacher and facilitator, focusing on healing and transformation. He is one of the facilitators of Tzedek Lab. The teachers at TransTorah: TransTorah helps people of all genders to fully access and transform Jewish tradition. Mason Dunn: Mason is the outgoing executive director of the Massachusetts Transgender Political Coalition and will be joining the staff of Keshet as its first-ever director of advocacy. Mason was also the co-chair of the “Yes on 3” campaign. So many other transgender people whose existence in our world makes it more colorful and whose interaction with our communities and tradition keep it alive. While we are celebrating Transgender Day of Visibility, it is crucial to remember that visibility is not an option or desire for all transgender people. Being visible can be dangerous. Transgender women of color in particular have been overwhelmingly targeted for hate violence, and the increased visibility of famous transgender people has not made them any safer. The same year that Laverne Cox made history as the first out transgender person on the cover of TIME magazine, the FBI hate crime statistics indicated a tripling of violence and threats against transgender individuals, from 31 to 98. In Massachusetts, the Jewish community recently demonstrated its staunch support of transgender people, supporting the #Yeson3 campaign in large numbers. Transgender Jews, as a community, are visible here in Massachusetts. Yet there is work to be done to make sure we are embraced and celebrated as individuals. There is work to be done to make sure that we are not only visible, but also feel seen. To investigate where compulsory gender is still present in our rituals, programming and curriculum, and to actively question its value and purpose where it remains. To ensure that gendered spaces are inclusive of transgender people. Transgender women are women, trans men are men. Let’s make sure our women’s and men’s spaces are open to transgender women and men. To work with nonbinary members of our community to ensure that there is space for their experience, perhaps by creating a third gender caucus for nonbinary and agender people. To pay transgender Jews for the work of sharing our experiences in such a way that facilitates growth and greater inclusion in our larger communities, including writing ritual, halakhah, divrei Torah and sharing their experience in a public format. To continue to address the racism, ableism and other systems of oppression that are present in our community. Being an out transgender person and rabbi is a blessing in my life. My transgender journey and identity has made me a more compassionate and aware participant in our world. It has enabled me to ask deep questions of our Jewish tradition and find rich answers. May the spirit of Transgender Day of Visibility overflow through the rest of year, inspiring all of us to play with and expand the meaning and role of gender in our world. Rabbi Becky Silverstein believes in the power of community, Torah and silliness in transforming the world. He strives to build a Jewish community and world that encourages and allows everyone to express their full selves. 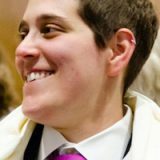 Becky currently serves as the rabbi-in-residence for Keshet LGBTQ+ Ally Teen Shabbatonim and program manager/co-teacher at the Boston Teen Beit Midrash. Becky is the chair of the boards of The Jewish Studio Project and SVARA: A Traditionally Radical Yeshiva and sits on the board of Keshet. You can find him speaking and teaching Torah to the world we live in throughout the Greater Boston area. Becky grew up in New York, holds a B.S. in engineering from Smith College and rabbinic ordination from the Rabbinical School of Hebrew College. Becky is a lifelong New York Mets fan, has no problem rooting for the Red Sox (unless they are playing the Mets) and resides in Jamaica Plain with his spouse, Naomi. Jewish Community: Vote Yes on 3!